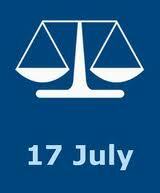 Today is the world’s first International Criminal Justice Day. It marks the thirteenth year since the passage of the Rome Statute in 1998 that created the International Criminal Court. Today the I.C.C. has 116 state-party members. There are currently six active investigations into situations in the Democratic Republic of the Congo, Uganda, Sudan, the Central African Republic, Kenya, and Libya. Criminal cases are currently being prosecuted for crimes occurring in Uganda, D.R.C., and C.A.R. The I.C.C. is set to complete its first trial against Thomas Lubanga Dyilo this year. It is changing the nature of international criminal law, and international law in general (pursuing prosecutions against sitting heads of state for example). For foes of impunity, there is much to celebrate on the first International Criminal Justice Day even beyond the relative success of the I.C.C. Largely successful ad hoc criminal tribunals in the former Yugoslavia, and Rwanda are winding down; and international criminal tribunals in Cambodia and Sierra Leone continue to prosecute new cases. War criminals are being brought to justice with increasing frequency, and a culture of rejecting impunity is growing around the world. While there is a laundry list of things to lament about the current state of international criminal justice- from insufficient funding, to inequitable application, even to fundamentally flawed functioning– take this one day, in addition to remaining vigilant, to also celebrate the achievements of international criminal justice so far, and to hope for what international criminal justice can help do in the future.